In the depths of winter, there’s nothing like a cozy curry to warm your belly and satisfy your soul. This recipe will heat you up with flavor while providing all the nutrients to support your body. There’s tofu and quinoa for protein, coconut milk for nourishing fats, squash for complex carbohydrates, and kale for all its phytochemical, vitamin, and fiber goodness. And all of this is served up in one bowl! I make variations of this meal all year round, using the same coconut curry as a base for salmon, chicken, and seafood curries. Once you’ve got the curry mastered, experiment with different vegetables or proteins. You could even double the curry recipe and freeze half for another week - your future self will thank you. Cut tofu into 1-inch cubes. Place in a medium bowl and toss with safflower oil and salt. Spread onto a parchment-lined baking sheet and bake 30-40 minutes, until tofu has firmed around the edges. Meanwhile, make the coconut curry. In large pot, sauté pan, heat the coconut oil. Add the onion and sauté until softened, about 5 minutes. Add ginger, garlic, and curry leaves and cook another 30 seconds. Add turmeric, cumin, coriander, cayenne, and cook another 30 seconds. Add the tomatoes, broth, and salt and cook 2 minutes, scraping the stuck pieces from the bottom of the pan. Transfer this mixture, along with the coconut milk, to a high-speed blender and blend until smooth and creamy. Rinse pot and set aside. Add squash, kale, and broth to the rinsed pot. Cover with lid and steam over medium heat until tender, about 5 minutes. Return the curry to the pot and add the quinoa and lime juice. Simmer a few minutes, allowing the flavors to alchemize. Taste and adjust salt and lime as needed. Fire cider is an apple cider vinegar infusion that can be taken as a daily tonic to prevent colds and flus. This herbal folk remedy is an immune booster filled with anti-microbial, anti-viral, anti-inflammatory, sinus-opening, circulation-stimulating ingredients that will warm up your system and keep the cold from setting in. Taken before meals, this tonic also can also help to improve digestion. It takes one month for fire cider to be ready, so get yours going today to be ready for fall. Fire Cider is incredibly easy to prepare. Simply chop up your onion, peel and smash the garlic cloves, and peel and grate the ginger. Place these ingredients, along with any “extras” in a clean and dry mason jar, and cover with apple cider vinegar. After a month, strain out and compost the solid ingredients, stir the raw honey into the vinegar and transfer your elixer to the fridge for storage. You can take about 1 tablespoon of fire cider (mixed in a little bit of water or as a shot) every day before a meal or up to 3 tablespoons/day if you feel like you are coming down with a cold or the flu. — Be sure to use a piece of parchment or waxed paper under the metal lid to prevent the acidic vinegar from causing the lid to corrode. We don’t want any rust in our medicine. — I recommend working with all organic ingredients for this brew. — Make sure that your apple cider vinegar is unpasteurized (meaning it still contains all those beneficial microbes). I like Bragg’s Raw Apple Cider Vinegar. Place onion, garlic, horseradish, ginger, and any other desired ingredients into a clean and dried quart jar. Fill jar with enough apple cider vinegar to cover. Place a piece of waxed paper over the top of the jar and then screw on the lid. Shake well and label with date and ingredients. Leave on the countertop for four weeks, shaking daily. After four weeks, strain out onion and other ingredients. Add honey and stir well to combine. Store in fridge and take 1 tablespoon daily during cold and flu season or 1 tablespoon 3x/day if sick. We all need some sweetness in our lives. So no, desserts are NOT off the menu in a Wellness Kitchen. But instead of choosing treats with refined flours and enough sugar to send you on a blood sugar roller coaster ride, you can keep your mind and body in balance by sticking to this dessert ground rule. My Dessert Ground Rule: Pair sugar with fiber and healthy fats. Sugar is at the top of the Glycemic Index (GI). That means it is broken down incredibly quickly and sends our blood glucose levels soaring. A high GI meal often leaves us feeling hungry shortly after eating, results a drop in energy (think afternoon slump), and can make concentrating difficult. One way to avoid this spike – and subsequent nose dive – in blood sugar is to balance the overall meal with fiber and healthy fats. Fiber and healthy fats will slow down digestion so that your body is not suddenly overloaded by all that sugary goodness. These two nutrients will also help keep you satiated and satisfied so that you’re not digging into the cookie jar twenty minutes after that slice of cake. Plant foods! Vegetables, fruits, nuts, seeds, legumes, and whole grains are all fiber-rich foods. How can I pack fiber into my desserts? Add pureed beans. Black beans are great for brownies, cannellini beans for blondies. Trust me, no one will even know. Sub refined flours for whole wheat flour or try almond meal (high in fiber and protein). Add nuts (pecans, walnuts, cashews, hazelnuts, almonds, etc.). Sub pureed pumpkin or banana for some of the liquid sweetener (maple syrup, honey, or agave). Less sugar, more fiber! Flax meal can replace an egg (Google Flax egg). The fats from nuts and seeds (flax and chia too), coconut, avocado, cold water fish, and pasture-raised, grass-fed animal products. How can I pack healthy fats into my desserts? Sub coconut oil for butter. Sub almond meal for refined white flour. Make a frosting out of avocado. Choose pasture-raised, grass-fed butter and dairy. Did you know you could make whipped cream out of coconut milk?!? What if I don’t want beans, pumpkin, and avocado in my desserts? Just try to eat the fiber and healthy fats along with the sugar, applying the same ground rule to the entire meal. Basically, you simply don’t want to eat the sugary food alone, after skipping lunch, as soon as you enter the holiday party. Fill up on plant foods to get that fiber in your belly and then savor your choice of dessert with mindful intention in each bite. Now, let’s use this Raw Peppermint Brownie Bite as an example of how this Dessert Ground Rule comes to life on the plate. First, there are no added sugars. All the sweetness comes from the Medjool dates, which are plenty sweet on their own. 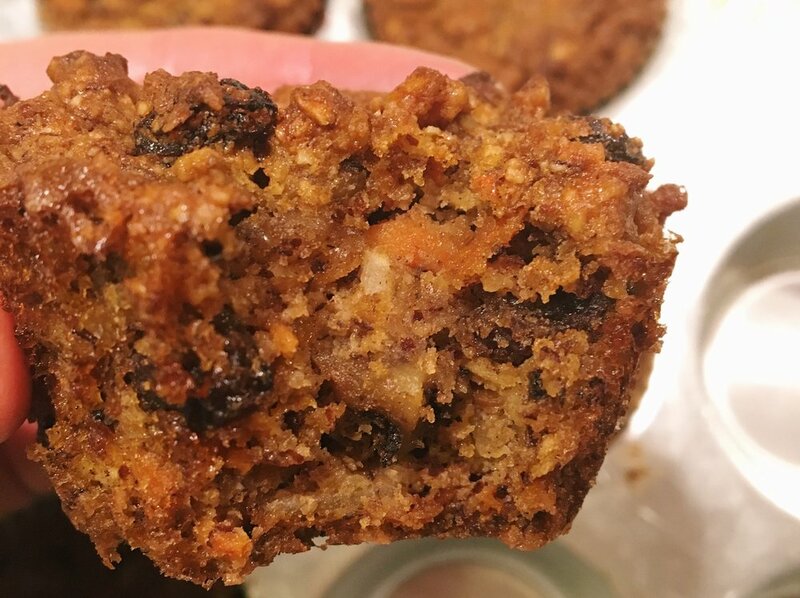 Second, there’s tons of fiber in these little guys from the walnuts, almonds, and (did you guess it?!) dates. 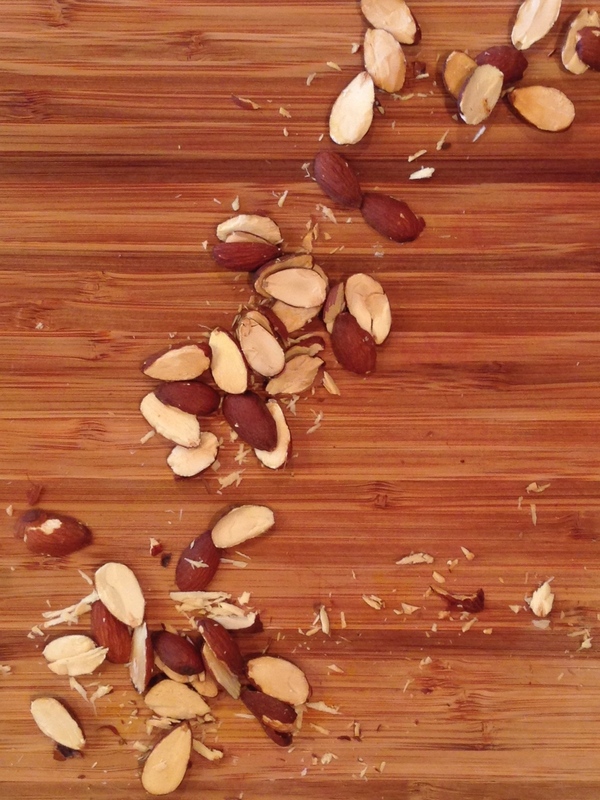 Third, the healthy fats from the nuts, as well as the shredded coconut, provide the richness and fullness-factor. They feel like a treat, but are also full of nourishment - the best kind of dessert! I make variations of these truffle-like, raw brownie bites all year round, but, today, I felt inspired to add some peppermint extract for a festive holiday version. I'm taking them to an end-of-semester pot-luck for my Nutritional Ecology class and, after tomorrow's Advanced Nutrition exam, am very excited to announce that I've completed my first semester in graduate school. Wishing you all peace, joy, and soul-filling wellness in the New Year! These brownie bites provide a dose of sweet without the sugar spike. Full of blood sugar-stabilizing fiber and satiating healthy fats, and free of refined sugar, dairy, and refined flours, they're not your average sweet treat. They are super simple to make and come together in ten minutes flat. I find they evoke memories of peppermint patties and family celebrations, and are a sure hit at any holiday or New Year's party. 1. Place the walnuts, almond meal, and cocoa powder in a food processor and process into a fine meal. 2. Add the dates, vanilla extract, peppermint extract, and sea salt. Process for 1-2 minutes until the dough, when pressed together, easily forms a ball. 3. Roll dough into small balls and roll each ball in shredded coconut. 4. Freeze or refrigerate until serving. On New Years day, I was feeling sluggish, a little out of balance, and like my digestive system needed a major break. After all the holiday parties, culinary school tastings, restaurant work, and baking projects, I needed a full body re-boot. January is usually the month of extreme diet pledges, juice and raw foods cleanses. While some people swear by their 5-day green juice cleanses or all-salad-all-day regimes, I find they are usually a pain to follow, extremely hard on your system, and leave you with terrible cravings that will send you swinging back out of health. I would like to offer a simpler, softer, and definitely tastier idea for those who are feeling ready to bring their health back into balance for the new year. The solution: WHOLE foods. Rather than pledge to eliminate "naughty" foods from your diet, try to incorporate as many plant-based foods as possible. We're talking about vegetables, fruits, whole grains, nuts, seeds, and legumes. When you begin to increase the quantity of these nourishing, whole foods into your diet, you will naturally find yourself moving away from the processed, the artificial, and the overly sugared. Think more about what you should eat and less about what you shouldn't eat. Trust me, your body and spirit will thank you. This is the Whole Foods Cleanse. Its the way humans have been eating for millennia. Its not complicated or carefully measured. Rather, it's guided by vibrant colors, inspired by nature's bounty, and driven - most importantly - by what your body needs to feel its best. The problem for most people, myself included, is that resolve to eat well fades without continual ideas of "what's for dinner." And we easily turn back to old, less-healthy habits. That is where Carly's Wellness Kitchen comes in. On this site, I will feature plant-based meals (with some high-quality animal products too) and teach you about basic nutrition principles. As I invite you into my kitchen, I hope you will find continual inspiration to nourish yourself with high quality, whole foods. Wellness begins in the kitchen. So lets get cooking! Here's a recipe to refresh your breakfast routine. Ditch the refined cereals and turn to whole grains, cooked to a porridge consistency and mixed with fresh or frozen fruit and chia seeds. In this recipe, I've used quinoa and frozen blueberries and topped it with cashews and shredded coconut to add some healthy fats. The combination of fiber and fat helps keep you feeling full and satisfied. It works for New Years Day or any day. Culinary Wellness Tip: Don't have time for this recipe on the weekdays? Make a pot on Sunday and reheat portions as needed with a little extra almond milk. All you'll have to do is throw on the toppings and enjoy. Rinse quinoa and combine with water, 1 ½ cups almond milk, cinnamon stick, and salt in a medium-sized pot. Bring to boil, reduce to a simmer, and cover. Cook for about 20 minutes, or until quinoa is porridge consistency. Remove from heat and stir in the chia seeds and blueberries, adding an additional ¼ cup almond milk. Rest for 10 minutes, allowing the chia seeds to expand. Serve with shredded coconut and a drizzle or honey or maple syrup.